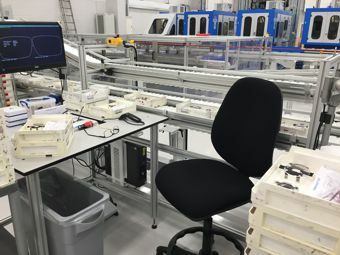 Our Monk Tracing work bench system allows trays to be continually fed to a line of tracing operators. The operators can sit at their bench and simply remove a tray from the feed conveyor, then place the completed job on the outfeed conveyor. 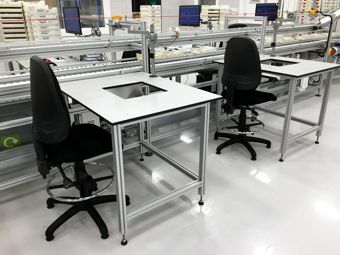 The workbench is ergonomically designed and has an optional cut out in the centre to take a tracing machine.